Welcome to the Casino Golf Schools. Casino Golf Schools feature one to one and two on one instruction, by PGA, LPGA and PGTCA teaching professionals. With over 30 years experience in the golf school business we have many of the country’s best and most experienced PGA, LPGA, and PGTCA golf instructors. 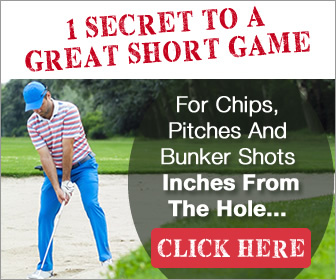 We will bring about dramatic changes in the way you think, practice and play golf. Instruction communicated in a simple, understandable, and concerned manner using V1 video and long lasting fundamentals gets results. Our Casino Golf Schools personal attention program is a “Vacation That Will Improve Your Game Forever”. Elite Golf Group LLC , is a management team of PGA Professionals, Directors of Instruction, Past Tour Players, and Travel Specialist that run over 75 worldwide golf schools, 10 golf schools’ web sites, 2 discount travel sites, a discounted golf travel site, a golf teachers’ organization in 12 twelve countries. Because we have been in the travel and golf school vacation business for over 25 years, we have seen the good and the not so good in the industry. When we started, there was no Internet and no web sites. Entering the tranquil lobby of Green Valley Ranch Resort transports you to an oasis where luxury is the norm. The 490 room Mediterranean-style hotel offers style, comfort and an unrivaled level of personal service. The spacious rooms combine old-world style and modern amenities, many of which offer exceptional views of the Las Vegas Strip. Green Valley Ranch offers a complimentary shuttle service to and from McCarran Airport and the Las Vegas Strip. The award-winning Dancing Rabbit Golf Club is the crown jewel of Pearl River Resort, and the masterpiece of renowned designers, Tom Fazio, and PGA great, Jerry Pate. 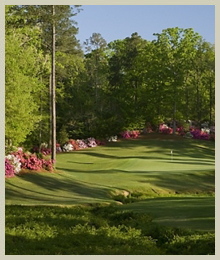 Featuring two championship golf courses, The Azaleas and The Oaks, Dancing Rabbit is consistently listed among Golf Magazine’s "Top 100 Courses You Can Play," Golfweek Magazine’s "Best Resort Courses," and Golf Digest’s "America’s 100 Greatest Courses." 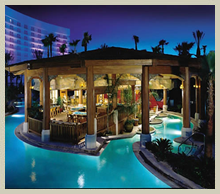 At the Hard Rock Hotel Biloxi becomes a whole new world while outdoing many other Mississippi casinos and Biloxi hotels. The building is a vision when lit up at night with the guitar, of course being a predominant feature at both the front and the back of the Hard Rock Hotel Biloxi. Hard Rock Hotel in Biloxi MS logo is "Sweets Dreams are Made of This" and they’re not kidding. 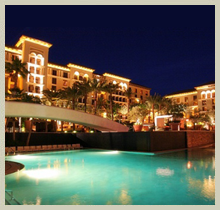 Red Rock Country Club is known throughout Las Vegas as one of Sin City's most exclusive and elite country clubs. 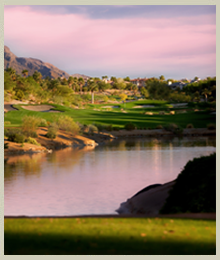 At the Red Rock Country Club course, golf school students truly get first-class treatment at this exclusive club. Coming to a Casino Golf School truly does pay benefits at this Arnold Palmer designed golf course. Rolling fairways, dramatic water features and multi-tiered greens characterize the 7001-yard, par-72 Private Mountain Course and the 6883-yard, par-72 Public Arroyo Course at Red Rock Country Club. With a minimum of five tee placements per hole, players of all levels enjoy a challenging and exhilarating world-class golfing experience.